I am often asked: How do you work with a goddess archetype? and How might it help to work with a goddess? So I’m offering three steps to help you align yourself with the divine feminine and bring forth your innermost dreams and desires. Is it inner peace you want? prosperity? a relationship? to find your soul’s purpose? Or maybe you need healing or help with a problem? Perhaps you would like to manifest a new job or a new home... Anything your heart desires can be yours when you tune in and create an opening for Spirit to come through and for magic and miracles to happen. Working with goddess archetypes allows us to see a bigger vision for ourselves and it helps us feel nurtured, loved and cared for. 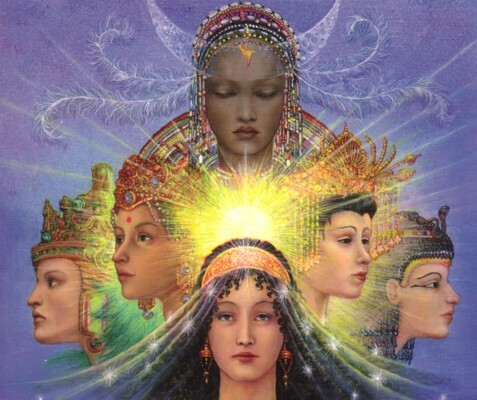 By seeing goddesses as reflections of ourselves, we are connecting with our own inner divinity. The Goddess, the Sacred Feminine, the deity of a loving Mother being reflected back to us is missing from the patriarchal power structure and most religions, and it’s time we reclaimed Her. I have found in my personal life as well as in my business as a therapist, writer and teacher, the more I have embraced the goddess and worked with the powerful archetypes that abound in every culture and corner of the world, the more I have felt free and nurtured to do my soulwork and shine. Working with goddess archetypes is something you can easily do for yourself on a daily basis. You are essentially tuning in to your inner guide, therapist, teacher or, Goddess--your higher Self, the Wise Woman, the part of you that really does know what’s best for you and wants what’s best for you. She’s the Good Mother, who would do anything to help her daughter see that she is worthwhile, that her thoughts and feelings matter. The Good Mother supports and encourages her daughter to keep going and follow her heart, to take leaps and put herself out there. This is the kind of mother who’s got our back, she’s rooting for us, she trusts in our ability to accomplish our dreams, and she loves us unconditionally. Choosing to work with the archetype of the Great Mother is especially important for those of us who have a mother wound, meaning we were wounded in our relationship with our personal mother who may not have known how to nurture us or give us what we needed, and who may have even harmed us through neglect, abandonment or abuse. We can create a new mother-daughter relationship on an inner level by aligning with a goddess archetype that we resonate with. Step 1: Find a goddess archetype you resonate with and want to work with. There are hundreds of goddesses in every culture and corner of the world. You may have grown up knowing about one or two that you feel you already have a relationship with and want to work with more closely. 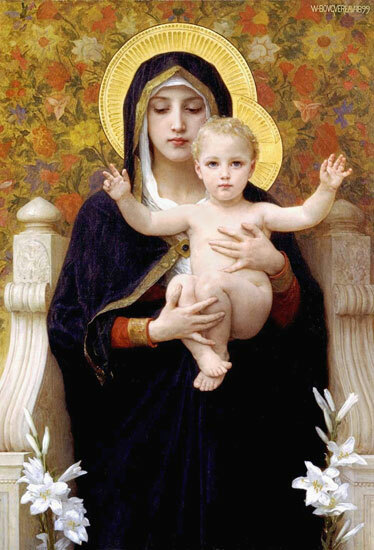 For many in our western culture, this is Mary, the mother of Jesus, who stands in for the ancient goddesses of old. I do believe Mary is a miracle worker and those who align with her and put their trust in her often receive abundance, healing, and good fortune that they never knew before. Part of the fun of working with goddess archetypes, at least for me, is exploring their different natures and attributes and seeing who I resonate with and need help from at a particular point in time. You may find an obscure goddess that you want to explore and research. There’s usually a good reason why you are drawn to one goddess or another that has to do with your own soul’s yearning. Trust this process and allow whatever goddess comes to be with you for a while and see what she has to offer. It’s much like finding a mentor. I have gotten to know a number of archetypes in the past 10 years or so of serious study and relationship with the Divine Feminine and I am always eager to meet a new goddess when the time is right. If you explore my blog, you will find descriptions of many of these goddesses. You want to look for a goddess that carries the archetypal energy that you are looking to manifest or align with. For example, if you want to bring in more money, you might choose to work with Lakshmi, the Hindu goddess of abundance and good fortune. 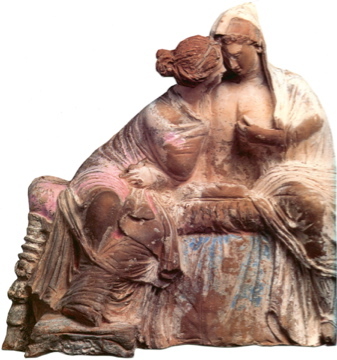 If it’s love you want, you could work with Aphrodite, also known as Venus, or one (or both) of the Two Marys (the Virgin Mary and Mary Magdalen). For peace of mind and healing, you might choose Mary or Quan Yin or Tara. If you are embarking on a creative endeavor or wanting to embrace a more creative lifestyle, you could choose to work with any of the mother goddesses. These are the goddesses of fertility and creativity, such as Aphrodite, Brigid, Demeter, Yemaya, Bona Dea, Anu, Saraswati, and Spider Woman or Grandmother Spider. When I was working on my soulwork book, In the Lap of the Goddess, Connecting With the Divine Feminine, I learned about creative flow by working with the West African mermaid goddess, Yemaya. I had never tried to write and self-publish my own book, so I felt nervous and unsure of myself initially. Yemaya became my goddess guide, and she was also featured in the book as a Creator goddess. However, I found that as much as she inspired me to tap into my Creatrix self, I first needed to destroy some old thoughts and beliefs that were getting in the way--you know, those two naysayers, Fear and Doubt? So I called in Kali. 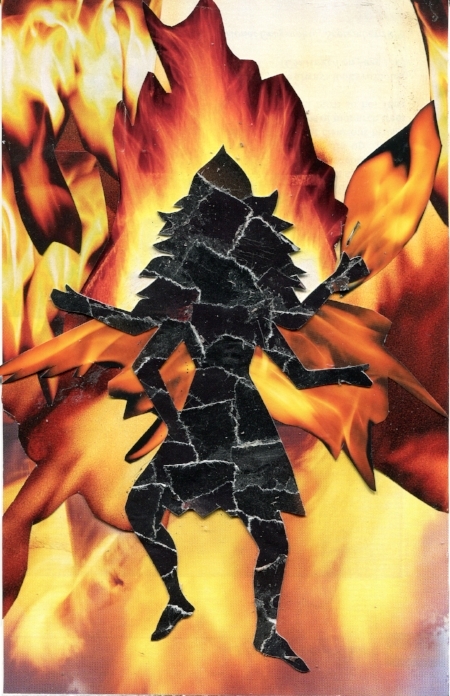 She’s the Hindu goddess of destruction, and despite her frightening appearance, she is a compassionate mother goddess who helps us slay the demons like fear and doubt and feelings of not being enough. My work with Kali helped me burn up the obstacles that were getting in the way, so that watery, creative Yemaya could flow through me like a river. Step 2: Bring Her to life. You can start by finding or creating images of the goddess you choose to work with. As I put together my workbook I surrounded myself with images of Yemaya. 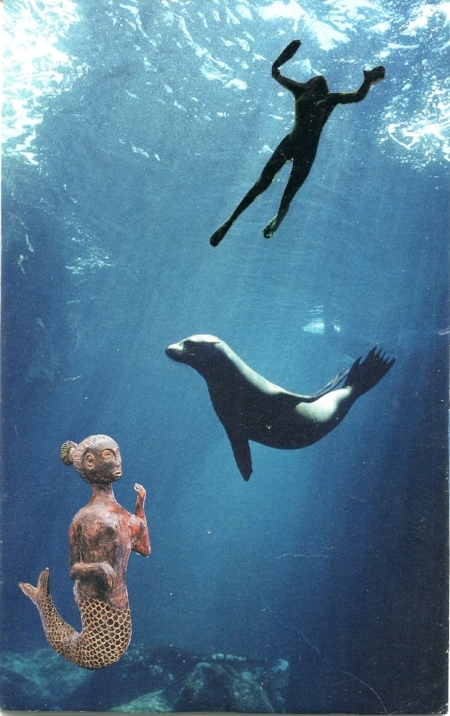 I created a mermaid wall, made a Yemaya paper doll, and created SoulCollage® cards of Her. She was by my side as I worked, literally next to my computer so I could see her and be inspired by her fertile, ever-flowing, creative energy. I made Her presence known. I highly recommend creating an image of Her by collaging, drawing, painting or sculpting Her because then you are truly fashioning Her from your own hands and heart. Another way to get to know Her is through shamanic journeying or guided journeys. There are free guided journeys to meet five goddesses on my website here. You can get to know the goddess you align with through meditation and prayer, and by opening up to messages from her by asking questions and sitting quietly to receive divine inspiration and direction. You can also do this through active imagination exercises such as creating a dialogue with Her in your journal. Write down a question and wait for the answer. Try writing Her answer with your non-dominant hand so you are more likely to bypass the logical, left brain and tap into your intuitive, right brain wisdom. Let it flow through you. When I got stuck or wasn’t sure what to do next while creating my workbook, I would turn the problem over to my creative helper, Yemaya. I asked for help, and you know what? It always worked. She always came through. Yemaya was my midwife in birthing that project, which led to my creating e-courses and workshops. One thing flowed into another. When I turned over the need to know and do everything a certain way and allowed new ways and answers to come, to flow through me, it happened. I was constantly amazed that when I felt blocked or discouraged, if I just sat with it, journaled with it, asked for help, it came. The divine inspiration happened because I was aligned with Her and I trusted Her to see me though the creative process. I Let go, and Let Goddess. And as the creative juices flowed, so did sacred abundance. Step 3: Create an altar to Her. This is a powerful tool because you are setting up a place to honor Her and a place to go and connect with Her. This is where you can get clear about your heart’s desire. If it’s abundance you want, be specific about what kind and how much you need, while at the same time staying open to surprise and how it might show up. Envision yourself already attaining it. Put these requests, dreams and desires into a container on your altar such as a dream box or wish jar. Make your altar a beautiful reflection of Her and You. Include gems, crystals, stones, herbs, plants, flowers, feathers, candles, totems, elements of earth, water, fire, air, figurines and anything that feels symbolic of the goddess and the divine feminine abundance you are wanting to create for yourself. This is also a place to put the images or creations you have lovingly made of Her. Sit at this altar everyday, even if only for 5 minutes. Offer a prayer, ask for help, express gratitude, write in your journal, draw oracle cards, and stay open to Her presence. 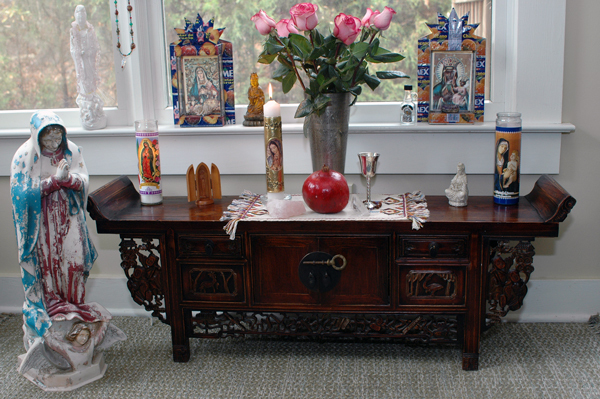 By the way, this altar could be on your desk, on a shelf, a table, or outdoors in nature. It can be makeshift and portable if necessary. Make it work for you. Yet another way to work with goddess archetypes is to take my e-courses, now available as self-study courses. The New Moon Goddess Mystery School features four goddesses: Brigid, Inanna, Artemis, and Cerridwyn, over four new moons during the four seasons. To learn more and to register, click HERE. In addition, there are 10 goddesses which you can learn about through my self-study e-courses available HERE and HERE. I don’t know if you’ve figured it out yet, but by honoring a goddess in these ways, you are honoring the goddess in you. May the Goddess bless you and help you bring about your fondest dreams and desires. You are invited to enter the mystery in the sacred Goddess Temple, where you will meet three powerful goddesses of alchemical transformation: Kali, the Hindu Goddess of Destruction; Yemaya, the West African Goddess of Creation, and Aphrodite, the Greek Mother Goddess of Love and Beauty. Over the four weeks from July 8 - August 4, 2012, you will take a journey of initiation, as did Psyche, the young mortal woman who dared to shine light upon the face of her lover, whom she met only in the dark of night and was forbidden to look at. She discovered that he was none other than Eros, the beautiful God of Love. When he opened his eyes, the spell was broken, and he flew away. Psyche was bereft. How to find this missing part of herself, her soul? For Psyche means Soul. The only way back to herself and to wholeness was to follow the instructions of the mighty Aphrodite, mother of Eros. She gave Psyche four tasks. And so, upon entering the Goddess Temple, you, too, will be given four assignments on your way to meeting the Great Mother herself. These challenges (which promise to be soulful, creative, and magical) will arrive in the mail in separate envelopes to be opened each week. Your mission, if you decide to accept it, is to meet each of the goddesses and accomplish the tasks set by Aphrodite. In the end, You, like Psyche, will have gone through an alchemical transformation and become the goddess. Register now. Aphrodite begins mailing instructions on June 20, the Summer Solstice. Don't miss this golden opportunity.